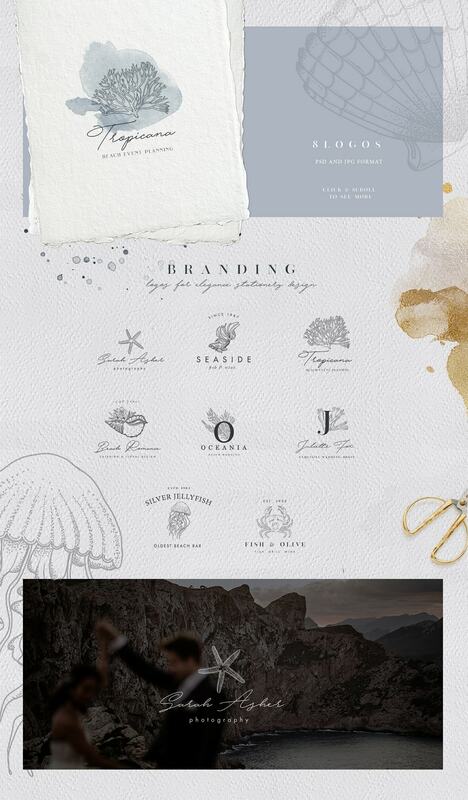 Set will help to design a unique brand, stylish logotype, graceful wedding invitation to the event or conceptual business card in the minutes. 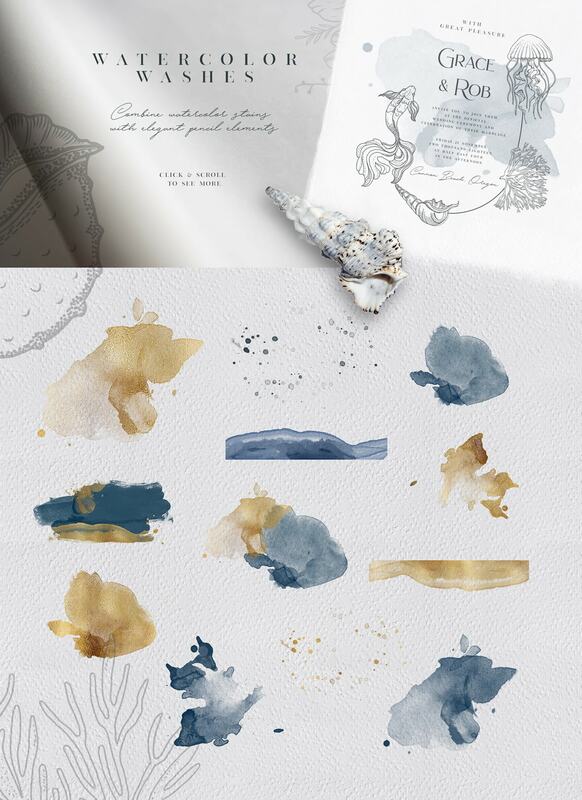 This graphics was born inspired by the sound of the surf… A warm breeze caresses the ears and cries of seagulls are heard. 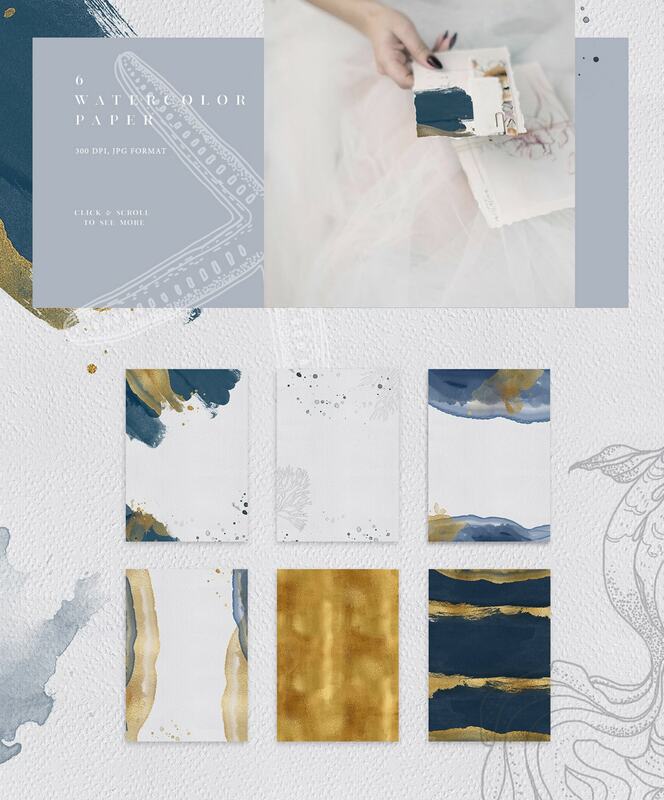 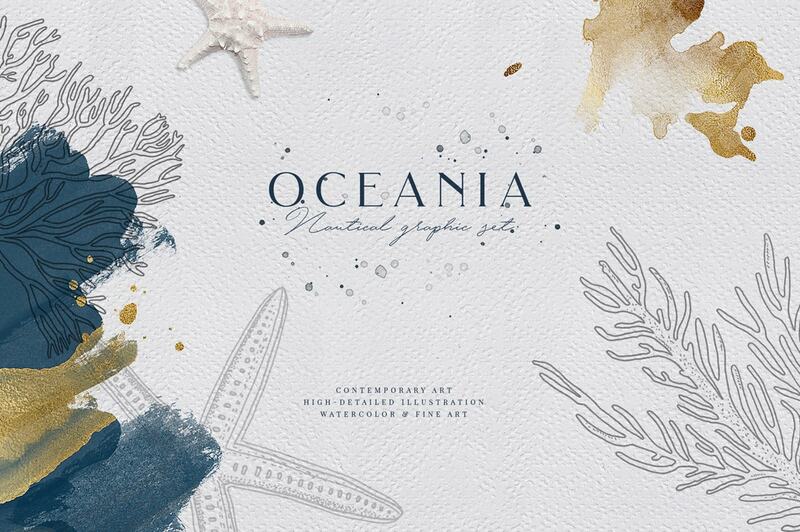 Solid lines of underwater flora and fauna gently intertwine into delicate watercolor stains. 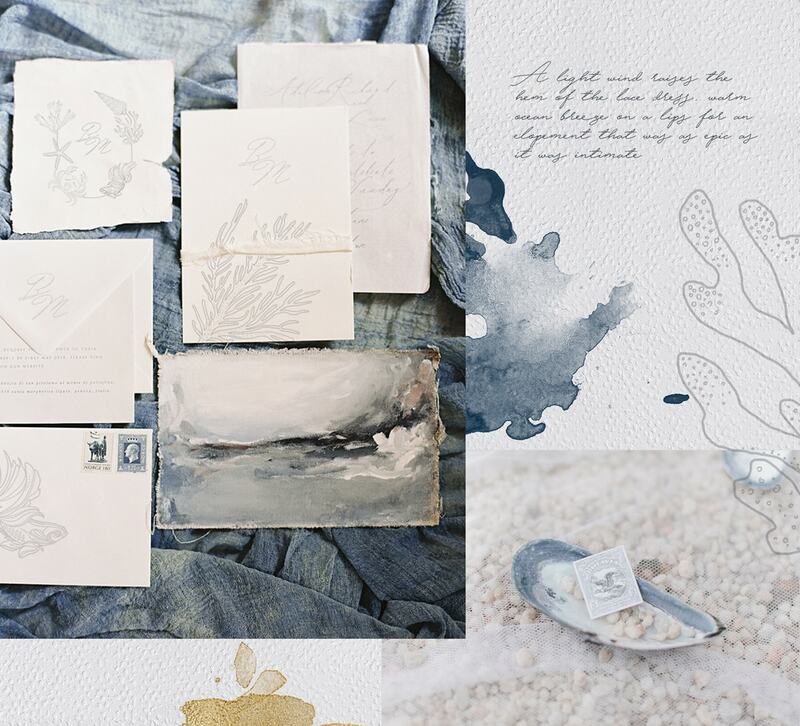 Marine creatures and algae, coral reefs and soft watercolors remind us of gentle breezes. 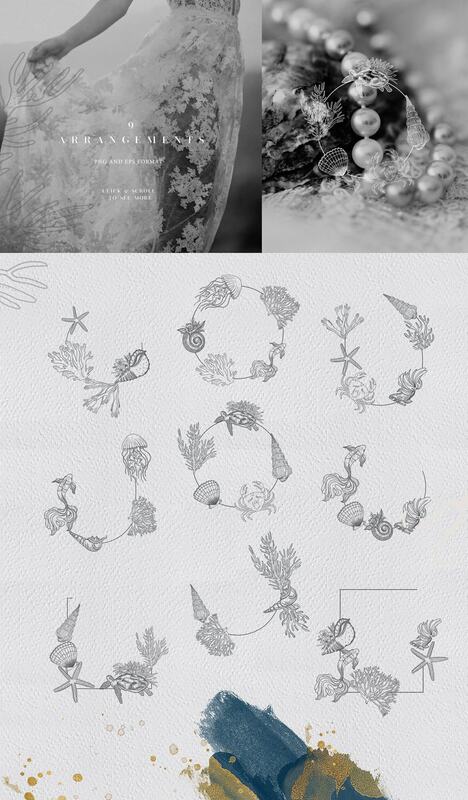 Set included many romantic details, which opens up truly unlimited possibilities for design! 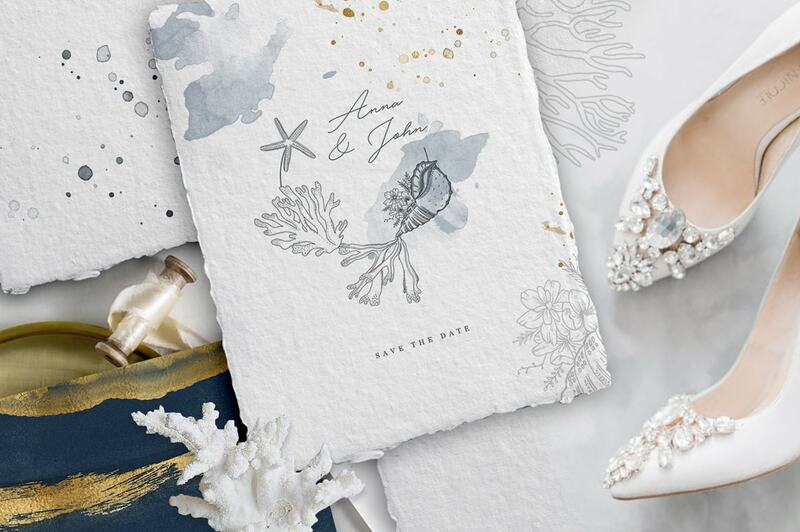 It is ideal for weddings in the sea and cruise style, for branding and logos – restaurant, hotels, beach resort and many more. 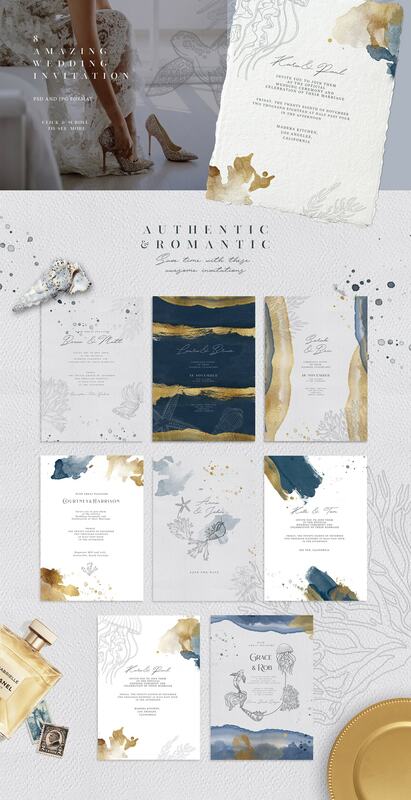 Contains both ready-made ideas that you can easily use, and a set to create your inimitable design.